Excerpt from the paper entitled; “Responsible Tourism that Creates Shared Value among Stakeholders” This contribution will shortly be published by Tourism Planning and Development Journal. This study revealed how different tourism organisations were engaging in responsible behaviours with varying degrees of intensity and success. It has identified cost effective and efficient operations. There was mention of some measures which enhance the human resources productivity. Other measures sought to reduce the negative environmental impacts. At the same time, it was recognised that it was in the businesses’ interest to maintain good relations with different stakeholders, including the regulatory ones. The researcher believes that responsible tourism can truly bring a competitive advantage when there are fruitful communications and continuous dialogue among all stakeholder groups (including the employees, customers, marketplace and societal groups). The tourism enterprises ought to engage themselves in societal relationships and sustainable environmental practices (Chiu, Lee and Chen, 2014). The tourism owner-managers admitted that responsible behaviours have brought reputational benefits, enhanced the firms’ image among external stakeholders and led to a favourable climate of trust and cooperation within the company. Similar findings were reported by Nunkoo and Smith (2013). This study reported that a participative leadership boosts employee morale and job satisfaction which may often lead to lower staff turnover and greater productivity in the workplace (Davidson et al., 2010). Evidently, stakeholder relationships are needed to bring external knowledge sources, which may in turn enhance organisational skills and performance (Frey and George, 2010). The governments may also have an important role to play in this regard. The governments can take an active leading role in triggering responsible behaviours. Booyens (2010) also reiterated that greater efforts are required by governments, the private sector and other stakeholders to translate responsible tourism principles into policies, strategies and regulations. Governments may give incentives (through financial resources in the form of grants or tax relief) and enforce regulation in certain areas where responsible behaviour is required. The regulatory changes may possibly involve the use of eco-label and certifications. Alternatively, the government may encourage efficient and timely reporting and audits of sustainability (and social) practices. The governments may provide structured compliance procedures to tourism enterprises. Responsible tourism practices and their measurement, reporting and accreditation should be as clear and understandable as possible. The governments’ reporting standards and guidelines may possibly be drawn from the international reporting instruments (e.g. ISO, SA, AA, and GRI). This research posits that sustainable and responsible environmental practices leverage the tourism enterprises performance as innovations can help to improve their bottom-line. This finding was also consonant with Bohdanowicz’s (2006) contribution. This research indicated that the investigated enterprises were increasingly pledging their commitment for discretionary investments in environmental sustainability, including; energy and water conservation, alternative energy generation, waste minimisation, reducing, reusing and recycling policies, pollution prevention, environmental protection, carbon offsetting programmes and the like. Indeed, some of the interviewees have proved that they were truly capable of reducing their operational costs through better efficiencies. Nevertheless, there may be still room for improvement as tourism enterprises can increase their investments in the latest technological innovations. This study indicates that there are small tourism enterprises that still need to realise the business case for responsible tourism. Their organisational culture and business ethos will have to become attuned to embrace responsible behavioural practices. Nevertheless, it must be recognised that the tourism industry is made up of various ownership structures, sizes and clienteles. In addition, there are many stakeholder influences, which affect the firms’ level of social and environmental responsibility (Carroll and Shabana, 2010). Acquiring new knowledge must be accompanied by mechanisms for dissemination. Perhaps, there is scope in sharing best practices, even with rival firms. It is necessary for responsible businesses to realise that they need to work in tandem with other organisations in order to create shared value and to move the responsible tourism agenda forward. Therefore, this study’s findings encourage inter-firm collaboration and networking across different sectors of the tourism industry. “…responsible behaviours have brought reputational benefits, enhanced the firms’ image among external stakeholders and led to a favourable climate of trust and cooperation within the company”. • National governments may create a regulatory framework which encourages and enables the implementation of sustainable and responsible behavioural practices by tourism enterprises. Ayuso, S. (2007). Comparing voluntary policy instruments for sustainable tourism: The experience of the Spanish hotel sector. Journal of Sustainable Tourism, 15(2), 144-159. Bohdanowicz, P. (2006). Environmental awareness and initiatives in the Swedish and Polish hotel industries—survey results. International Journal of Hospitality Management, 25(4), 662-682. Booyens, I. (2010). Rethinking township tourism: towards responsible tourism development in South African townships. Development Southern Africa, 27(2), 273-287. Bramwell, B., & Lane, B. (1993). Sustainable tourism: An evolving global approach. Journal of Sustainable Tourism, 1(1), 1-5. Bramwell, B. & Rawding, L. (1996). Tourism marketing images of industrial cities. Annals of Tourism research, 23(1), 201-221. Bramwell, B., & Sharman, A. (1999). Collaboration in local tourism policymaking. Annals of tourism research, 26(2), 392-415. Bramwell, B., Lane, B., McCabe, S., Mosedale, J., & Scarles, C. (2008). Research perspectives on responsible tourism. Camilleri, M.A. (2014). Advancing the Sustainable Tourism Agenda Through Strategic CSR Perspectives, Tourism Planning & Development, 11:1, 42-56. Camilleri, M.A. (2015) “Valuing Stakeholder Engagement and Sustainability Reporting”. Corporate Reputation Review, Vol. 18 (3). Carroll, A.B., and Shabana, K.M (2010), The business case for corporate social responsibility: a review of concepts, research and practice. International Journal of Management Reviews 12 (1), 85-105. Chiu, Y. T. H., Lee, W. I., & Chen, T. H. (2014). Environmentally responsible behavior in ecotourism: Antecedents and implications. Tourism Management, 40, 321-329.
Cooper, C. P. & Ozdil, I. (1992). From mass to ‘responsible’tourism: the Turkish experience. Tourism Management, 13(4), 377-386. Crouch, G. I., & Ritchie, J. B. (1999). Tourism, competitiveness, and societal prosperity. Journal of business research, 44(3), 137-152. Davidson, M. C., Timo, N. & Wang, Y. (2010). How much does labour turnover cost? : A case study of Australian four-and five-star hotels. International Journal of Contemporary Hospitality Management, 22(4), 451-466. EU (2007). Agenda for a sustainable and competitive European tourism. http://ec.europa.eu/enterprise/sectors/tourism/documents/communications/commissioncommunication- accessed on the 12th December 2014. EU (2012). European charter for a sustainable and responsible tourism http://ec.europa.eu/enterprise/sectors/tourism/sustainable-tourism/charter/index_en.htm accessed on the 12th December 2014. Fleischer, A., & Felsenstein, D. (2000). Support for rural tourism: Does it make a difference?. Annals of tourism research, 27(4), 1007-1024. Frey, N., & George, R. (2010). Responsible tourism management: The missing link between business owners’ attitudes and behaviour in the Cape Town tourism industry. Tourism Management, 31(5), 621-628. Garay, L., & Font, X. (2012). Doing good to do well? Corporate social responsibility reasons, practices and impacts in small and medium accommodation enterprises. International Journal of Hospitality Management, 31(2), 329-337. Getz, D., & Carlsen, J. (2000). Characteristics and goals of family and owner-operated businesses in the rural tourism and hospitality sectors. Tourism management, 21(6), 547-560. Goodwin, H., & Francis, J. (2003). Ethical and responsible tourism: Consumer trends in the UK. Journal of Vacation Marketing, 9(3), 271-284. Goodwin, H. (2007). Responsible tourism in destinations. http://haroldgoodwin.info/blog/?p=2745 accessed on the 11th December 2013. Goodwin, H. (2011). Taking responsibility for tourism. Woodeaton, UK: Goodfellow Publishers Limited. Goodwin (2013) What role does certification play in ensuring Responsible Tourism? – in WTM blog. http://www.wtmlondon.com/library/What-role-does-certification-play-in-ensuring-Responsible-Tourism#sthash.azaYgVZj.dpuf accessed on the 18th January 2014. Graci, S., & Dodds, R. (2008). Why go green? 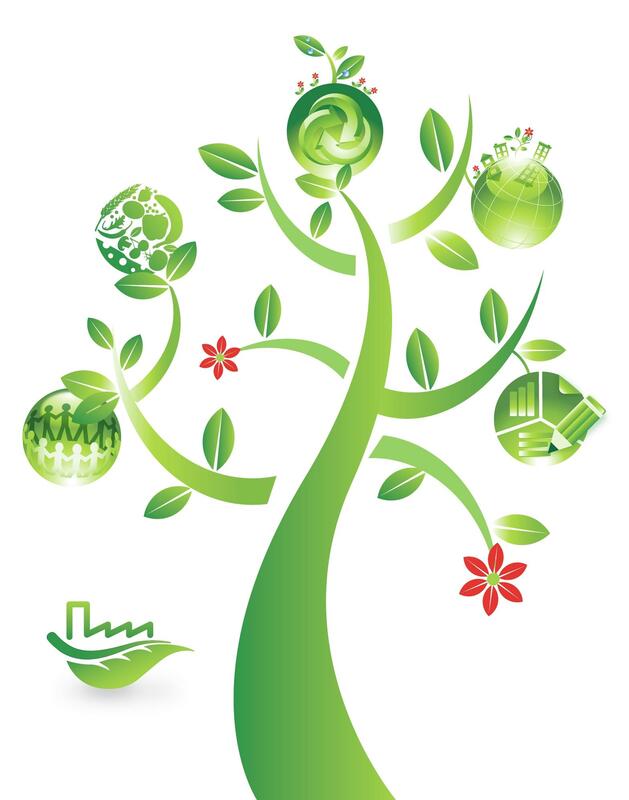 The business case for environmental commitment in the Canadian hotel industry. Anatolia, 19(2), 251-270. Guardian (2014). http://www.theguardian.com/sustainable-business/2014/jan/23/davos-2014-climate-change-resource-security-sustainability-live accessed on the 18th January 2014. Hall, C. M., & Lew, A. A. (1998). Sustainable tourism. A geographical perspective. Addison Wesley Longman Ltd.
Hall, C. M. (2010). Changing paradigms and global change: From sustainable to steady-state tourism. Tourism Recreation Research, 35(2), 131-143. Hall, C. M. (2011). A typology of governance and its implications for tourism policy analysis. Journal of Sustainable Tourism, 19(4-5), 437-457. Haywood, K. M. (1988). Responsible and responsive tourism planning in the community. Tourism management, 9(2), 105-118. Iglesias, A., Garrote, L., Flores, F., & Moneo, M. (2007). Challenges to manage the risk of water scarcity and climate change in the Mediterranean. Water Resources Management, 21(5), 775-788. IHG (2012a). Intercontintental Hotel Group: CSR Report 2012. http://www.ihgplc.com/files/pdf/2012_cr_report.pdf accessed on the 15th January 2014. IHG (2012b). Intercontinental Hotel Group: CSR Report IHG Green Engage. http://www.ihgplc.com/index.asp?pageid=742 accessed on the 15th January 2014. Jones, A. (1987). Green tourism. Tourism management, 8(4), 354-356. King, C. (2010). “One size doesn’t fit all” Tourism and hospitality employees’ response to internal brand management. International Journal of Contemporary Hospitality Management, 22(4), 517-534. Kirk, D. (1998). Attitudes to environmental management held by a group of hotel managers in Edinburgh. International Journal of Hospitality Management, 17(1), 33-47.
social-problems?intcmp=122 Accessed online on the 12th June 2012. Krippendorf, J. (1982). Towards new tourism policies: The importance of environmental and sociocultural factors. Tourism management, 3(3), 135-148. Krippendorf, J. (1987). Ecological approach to tourism marketing. Tourism Management, 8(2), 174-176. Lee, T. H., Jan, F. H., & Yang, C. C. (2013). Conceptualizing and measuring environmentally responsible behaviors from the perspective of community-based tourists. Tourism Management, 36, 454-468. Lloyd, B. (2015). Addressing Sustainable Development Goals: Shared value on the agenda at the 2015 World Economic Forum in Davos http://sharedvalue.org/groups/addressing-sustainable-development-goals-shared-value-agenda-2015-world-economic-forum-davos Accessed online on the 12th March 2015. McIntyre, G. (1993). Sustainable tourism development: guide for local planners. World Tourism Organization (WTO). Miller, G. (2001). Corporate responsibility in the UK tourism industry. Tourism Management, 22(6), 589-598. MTA (2015) Malta Tourism Authority: Why become ECO certified? http://www.mta.com.mt/why-become-eco-certified accessed on the 2nd February 2015. Nunkoo, R., & Smith, S. L. (2013). Political economy of tourism: Trust in government actors, political support, and their determinants. Tourism management, 36, 120-132. Pavesic, D. V., & Brymer, R. A. (1990). Job satisfaction: What’s happening to the young managers?. The Cornell Hotel and Restaurant Administration Quarterly, 30(4), 90-96. Pfitzer, M., Bocksette, V., & Stamp, M. (2013). Innovating for Shared Value. Harvard Business Review. Porter, M.E. & Kramer, M.R. (2011). Creating shared value: How to reinvent capitalism – and unleash a wave of innovation and growth. Harvard Business Review, (January/February), 62-77. Poulston, J. M. (2009). Working conditions in hospitality: Employees’ views of the dissatisfactory hygiene factors. Journal of Quality Assurance in Hospitality & Tourism, 10(1), 23-43. Sharpley, R. (2000). Tourism and sustainable development: Exploring the theoretical divide. Journal of Sustainable tourism, 8(1), 1-19. Sharpley, R. (2014). Teaching responsible tourism. The Routledge Handbook of Tourism and Hospitality Education, 171. Shaw, G., Bailey, A., & Williams, A. (2011). Aspects of service-dominant logic and its implications for tourism management: Examples from the hotel industry. Tourism Management, 32(2), 207-214. UNWTO – UNEP (2012). Tourism in the Green Economy: Background Report. http://sdt.unwto.org/en/content/publications-1 accessed on the 29th June 2013. Wheeller, B. (1991). Tourism’s troubled times: Responsible tourism is not the answer. Tourism Management, 12(2), 91-96. WTTC (2002). Speeches and Presentations. Retrieved from http://www.wttc.org/eng/Tourism_News/Speeches_and_Presentations/2002_Speeches_and_Presentations/accessed on the 10th March 2012. WTTC (2011). Latest Policy on travel and tourism, Retrieved from htp://www.wttc.org/site_media/uploads/downloads/traveltourism2011.pdf accessed on the 2nd March 2012.